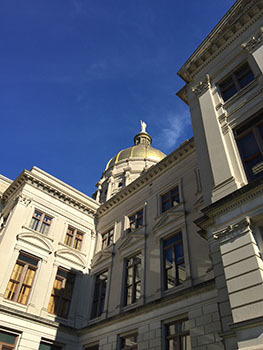 co-hosted by the GSDDS and AADDS was held on March 14, 2018, 9:30am - 3pm at the Georgia State Capitol. Drs. 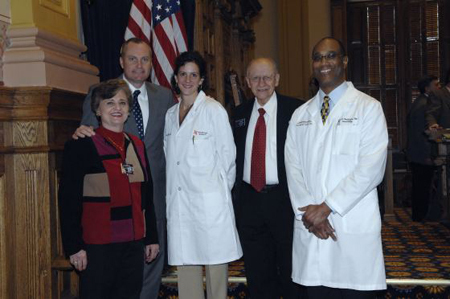 David Harvey, Mark Holzberg, Sumayah Taliaferro, Nathan Cleaver, Melinda Mohr, and Katarina Nalovic provided free spot skin screenings for legislators, staff and general public. Over 50 individuals were screened. 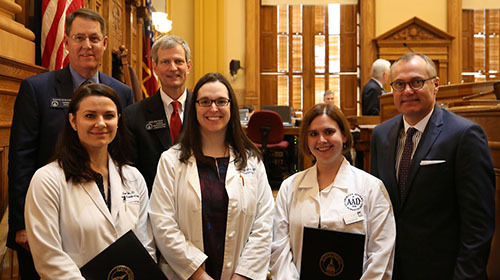 A Resolution was read in the Senate opening ceremonies declaring the day Skin Cancer Awareness Day and our physicians addressed the Senate on behalf of the GSDDS and AADDS. co-hosted by the GSDDS and AADDS was held on Tuesday, January 31, 2017, 9:30am - 3pm at the Georgia State Capitol in Room 216. Drs. 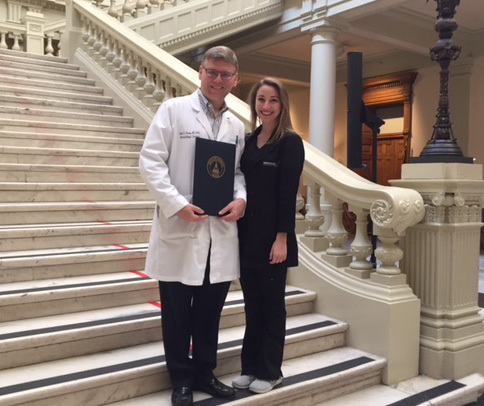 Desiree Mohandas, Maren Cotes, Larisa Chismar, Melinda Mohr, Samit Patrawala, Mark Holzberg, Humza Ilyas, and Alex Gross provided free spot skin screenings for legislators, staff and general public. 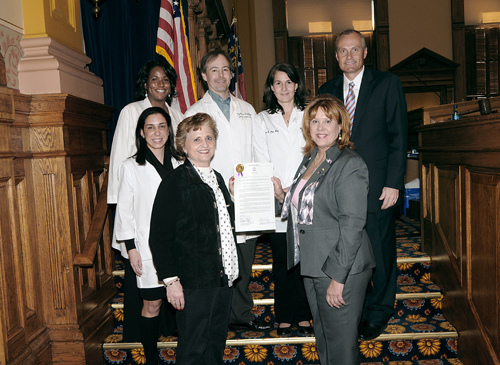 A Resolution was read in the Senate opening ceremonies declaring the day Skin Cancer Awareness Day and Maren Cotes, MD addressed the Senate on behalf of the GSDDS and AADDS. co-hosted by the GSDDS and AADDS was held on Tuesday, February 9, 10am - 3pm at the Georgia State Capitol in Room 230. Drs. 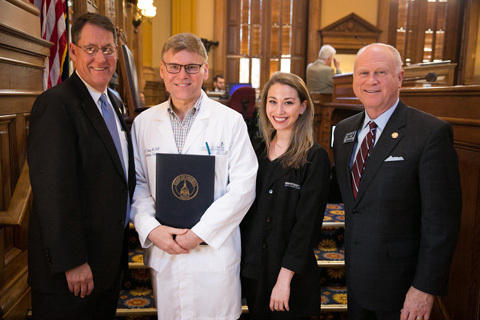 Stuart Goldsmith, Samit Patrawala, Mark Holzberg and Alex Gross provided free spot skin screenings for legislators, staff and general public. 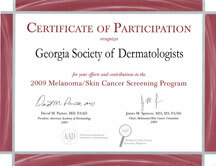 Over 60 individuals were screened. 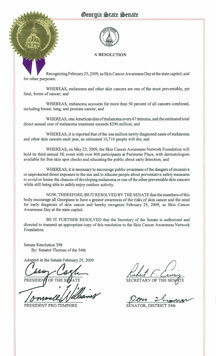 A Resolution was read in the House opening ceremonies declaring it Skin Cancer Awareness Day. 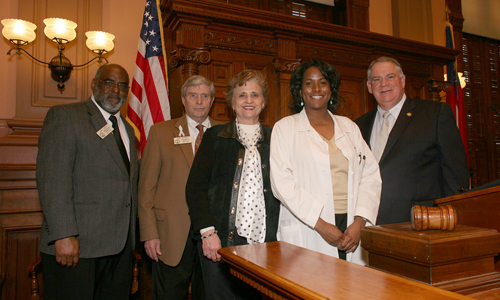 co-hosted by the GSDDS and AADDS was held on Monday, March 2, 2015, 9am - 3pm at the Georgia State Capitol in Room 230. 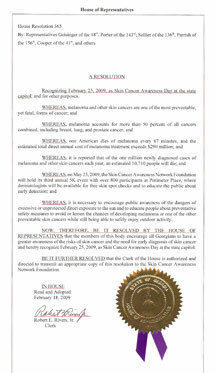 Free Skin Screenings were provided for legislators, staff and general public. Over 70 individuals were screened. 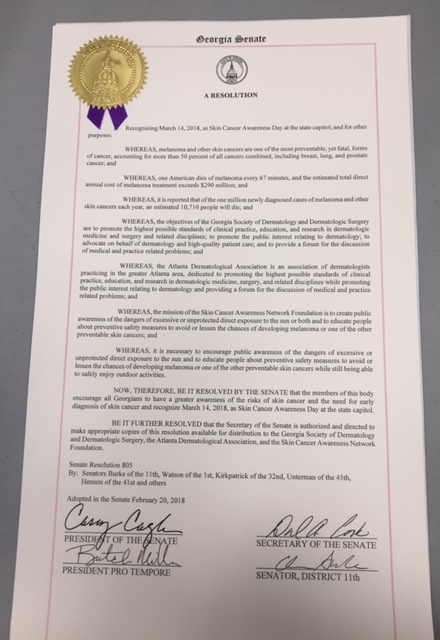 Senate and House Resolutions were read during the opening ceremonies. co-hosted by the GSDDS and AADDS was held on Tuesday, January 28, 2014. It was scheduled 9am - 3pm but was cut short due to the ice storm that hit Atlanta that day. Still, free Skin Screenings were provided for legislators, staff and general public. Over 50 individuals were screened. Senate and House Resolutions were read during the opening ceremonies. 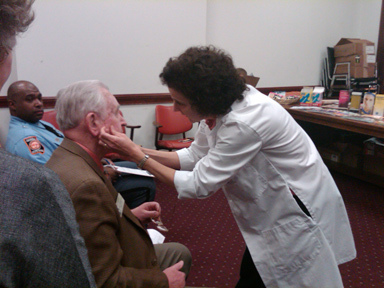 Free Skin Screenings were provided for legislators, staff and general public. Over 70 individuals were screened. Senate and House Resolutions were read during the opening ceremonies. 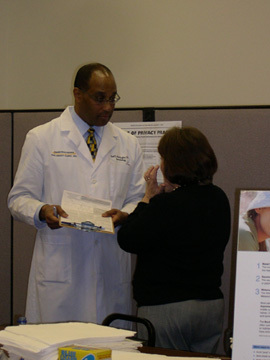 Free Skin Screenings were provided for legislators, staff and general public. Over 75 individuals were screened. 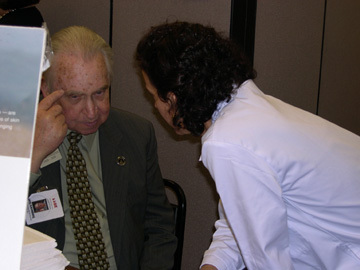 Free Skin Screenings were provided for legislators, staff and general public. Over 100 individuals were screened. 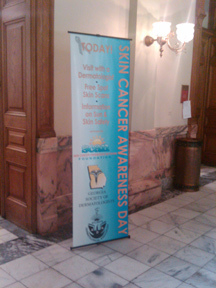 Free Skin Screenings were provided for legislators, staff and general public. Over 160 individuals were screened. Over 75 individuals were screened in 4 1/2 hours. 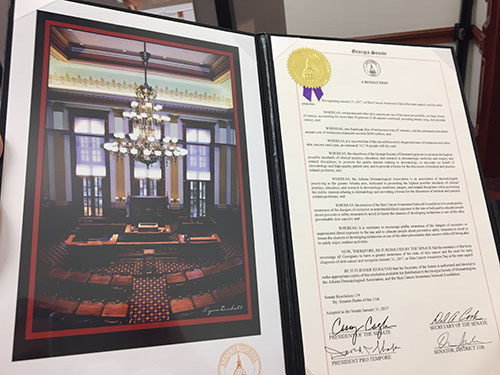 Senate and House Resolutions were read during the opening ceremonies.